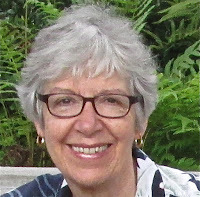 June 18, 2015 was a date marked on the calendars of many in the environmental movement, particularly those who do this work from a perspective of faith. Pope Francis was releasing his encyclical, Laudato Si’ (Praise Be!) on Care for our Common Home. I fully expected to wake up and see the release as one of the lead stories on the morning news shows. Instead I woke up to news reporting on the aftermath of the racist terrorist attack in Charleston, SC. Nine people died, nine images of God. When I agreed to write something about the encyclical, I anticipated writing about key points in the document: climate change and environmental justice are moral issues; protecting creation and protecting people who are poor are interconnected virtues; we are part of creation and kin to it, greed is the greatest threat – to the poor and to the earth itself; the time to act on climate change is now. All of these points are present and well supported. Francis is blunt about what we are doing to our environment, “The earth, our home, is beginning to look more and more like an immense pile of filth.” (21) But I was now reading the document through the lens of what happened in Charleston. This document speaks to that situation as well. Some may find parts of the encyclical difficult to read. The language about God is very patriarchal, and in places, the language is male dominant. The encyclical talks a good deal about those with power and privilege not wanting to give up their behaviors, and how that negatively affects others. For me, this use of male dominant language is an example of those with power and privilege (in this case the authors of this encyclical) not understanding how their language is heard by the other (those of us who believe we also are in the image of God, but can never be patriarchs). Yet it is still a critically important document. Pope Francis has invited everyone into a dialog on the pressing ecological issues facing humanity. He has moved the climate conversation forward and emphasized that our response needs to be a moral response. He calls for us to act now. Francis asks a question: “What would induce anyone, at this stage, to hold on to power only to be remembered for their inability to take action when it was urgent and necessary to do so?” (57). It is a question we can ask about work on issues of race, gender, class and the environment. All-powerful God, you are present in the whole universe and in the smallest of your creatures. You embrace with your tenderness all that exists. Pour out upon us the power of your love, that we may protect life and beauty. Fill us with peace, that we may live as brothers and sisters, harming no one. O God of the poor, help us to rescue the abandoned and forgotten of this earth, so precious in your eyes. Bring healing to our lives, that we may protect the world and not prey on it, that we may sow beauty, not pollution and destruction. Touch the hearts of those who look only for gain at the expense of the poor and the earth. Teach us to discover the worth of each thing, to be filled with awe and contemplation, to recognize that we are profoundly united with every creature as we journey towards your infinite light. We thank you for being with us each day. Encourage us, we pray, in our struggle for justice, love and peace. 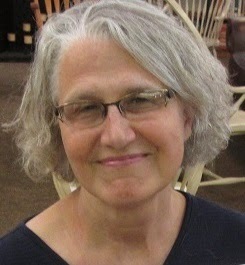 Sue Smith is PEC Treasurer, member of the First Presbyterian Church of Rumson (NJ), GreenFaith Fellow, and recent M. Div. graduate of New Brunswick Theological Seminary. With gratitude we remember these founders who were called to support the new mission initiative, RESTORING CREATION FOR ECOLOGY AND JUSTICE, adopted by the 1990 General Assembly (the story goes that it was passed by a 97% vote and greeted by all present rising and singing the Doxology!). And our gratitude extends to all who have served, leaders and members too, since that time. We’d appreciate your help in collecting photos and stories to share. So we hope you will visit our 20th celebration special website, www.PECmemories.com. 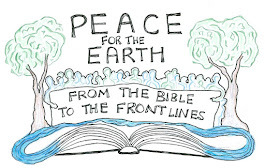 We invite you to write down special stories and memories you have about the life and times of Presbyterians for Restoring Creation (PRC) and Presbyterians for Earth Care (PEC). We look forward to your joining us in this festive thanksgiving for the sacred trust we’ve inherited to carry into the future. Nancy Corson Carter, Ph.D., is a publishing poet and writer, facilitates an Earth Care Congregation in Chapel Hill NC, and is active in the Shalem Society for Contemplative Leadership. She is Professor Emerita (of Humanities) at Eckerd College, and was Moderator of PRC from 1999-2005.